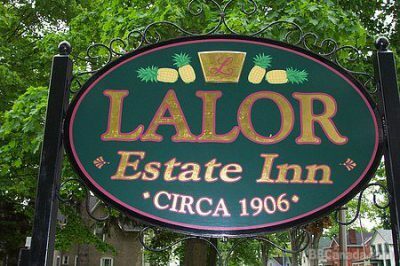 Our unique inns are only minutes from where the Grand River and Lake Erie awaits you. We are the ideal fishing destination and relaxation spot. Enjoy warm nights by the fire pit while watching the sunset or relax on the dock and enjoy the stunning view. There is always plenty to do at the Riverview Motel. We also cater to weddings and special occasions. The popular campsites are close to our 1/2 mile of sandy beach that's perfect for swimming. 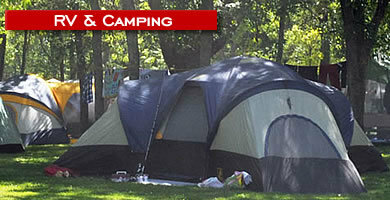 With over 450 campsites for tents and trailers, Knight's Beach is the place for you! Beautiful place by the Lake Erie. It can accommodate 4-6 people in double occupancy. Cost is $75 per person per night. There is also a king suite with private bath for $150 per night. These include shared use of a kitchen. Take a stroll through our park-like grounds on an acre of gardens and majestic trees, or relax on the wrap around porch. Each guest room is uniquely and beautifully appointed, offering fresh roses, fluffy robes, pillow-top matresses and turn down service to pamper. 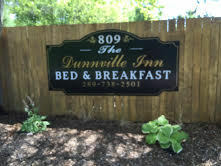 Dunnville Suites will make you feel right at home, and can accommodate large groups and families all within one suite! Currently offering suites & deluxe Guest Rooms. 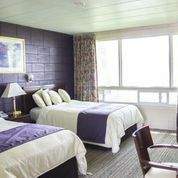 The Country Inn Motel in Dunnville, Ontario is primely located for your next hunting, fishing, boating or family outing. Oakwood Escape is the place where you can really “let go” and participate in some down-to-earth activities, and have the best sleep you’ve had in years. Built in 1869 by the town's 'Reeve' this historic, boutique style B & B features a 1 and 2 bedroom suite with private bathrooms and sitting areas. 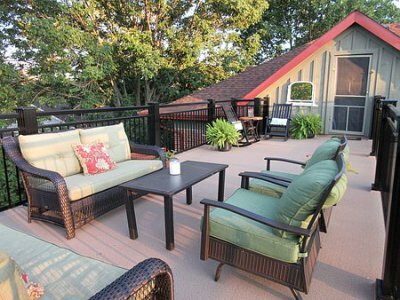 The two bedroom suite boasts a furnished roof top patio. Steps away from restaurants, shops and waterfront. 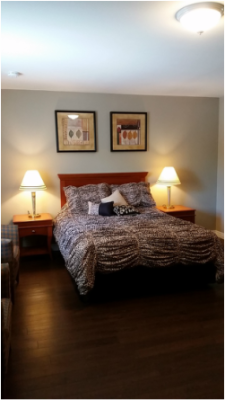 Le B and B is located in Caledonia ON, across from the Grand River. We are a Century home with lots of charm. Caledonia is well situated for many destinations, Toronto Motorsports Park, Ohsweken Speedway and Port Dover. We are approximately 1 Hr to Toronto and Niagara Falls. There is good fishing in the Grand River as well as many trails along the waterfront. Unique accommodations by the day, week or month on historic West Street in Port Colborne, Pilot Lodging is an 800 square foot apartment on the second floor of what was originally a Canadian Bank Of Commerce built in 1920. Just south of iconic Bridge 21, the apartment provides the best view in Port Colborne of the Welland Canal. Certified cycle friendly by Ontario By Bike. 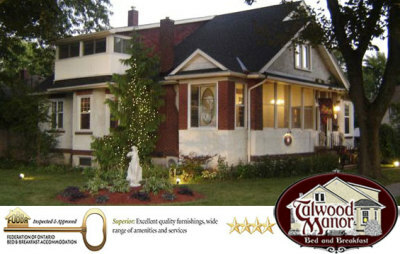 Come and enjoy luxury and history in this pre-World War II, Arts and Crafts-styled bed and breakfast in the heart of Port Colborne, rated and inspected by the FOBBA as a “Four Star Luxury Accommodation". Four professionally designed rooms, some with en-suites, are individually climate controlled, winter or summer.